The company that I work for has a new name. The new name is Advania. I have been working on NAV Time Registration and the solution is almost ready. 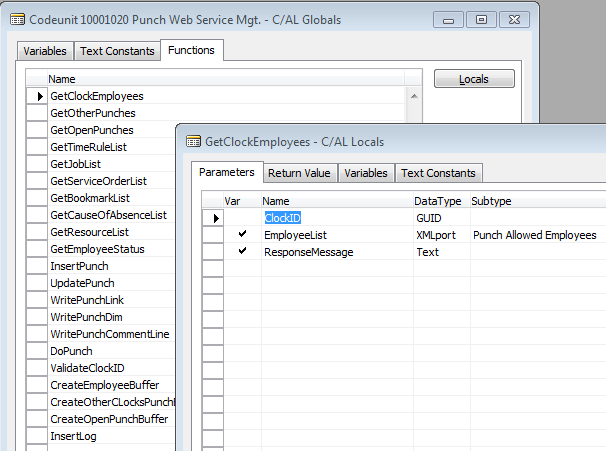 The last step was to create a web service that supports stand-alone punching clocks, both in .net c# and also as a NAV client. The web service is a standard codeunit with functions. I make sure the functions that are not to be published have the Local property set to Yes. 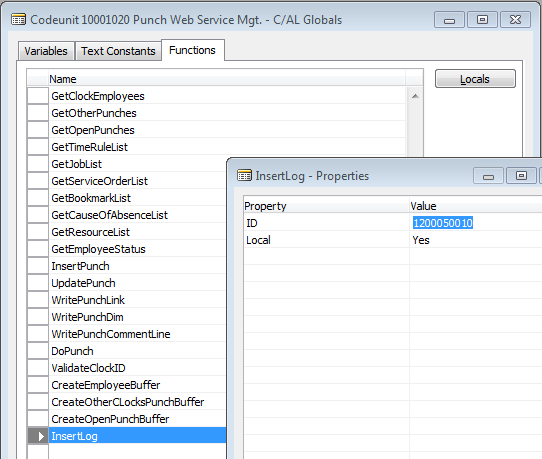 Using XMLport in web services requires a few parameter changes. First I include them in the function parameters. I use a boolean parameter in Return Value as a success flag. 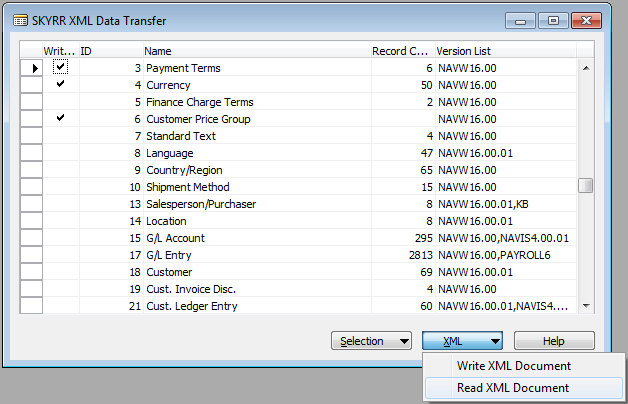 Then in XMLport properties I change direction to export, change format to XML and select to use default namespace. The C/Side code to answer this web service is. Then finally I run form 860, Web Services and add a line for this web service to be published. Next post is a demonstration on how to use this web service. I used Freddys multiple service tier post in my developement enviroment to setup NAV services. 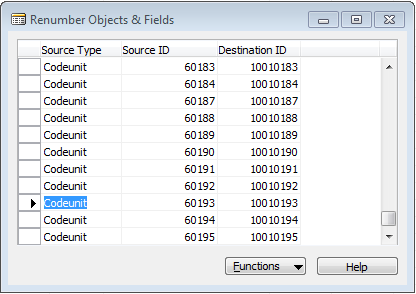 I needed to renumber objects for Skyrr Payroll addon and found on Mibuso an old renumbering tool. I downloaded it and installed. I corrected the bug and created an import function for Excel worksheet. The Excel worksheet has the object type in column A, object ID in column B, object name in column C, object caption in column D and the object new ID in column E. The first row is the header row. I simply copied my object list from Object Designer and worked out my new ids in Excel. 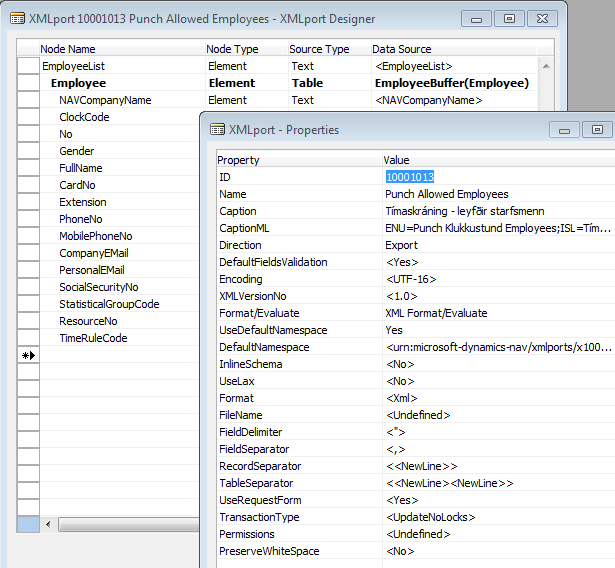 After importing this Excel worksheet I have a list of new and old IDs in NAV. If any of the new IDs is an old ID, you will need to renumber first from the old ID to temporary ID and then do another renumbering to the new ID. I create two sheets in my Excel workbook to solve this. This renumbering tool does not support Pages and I did not need that support in this case. 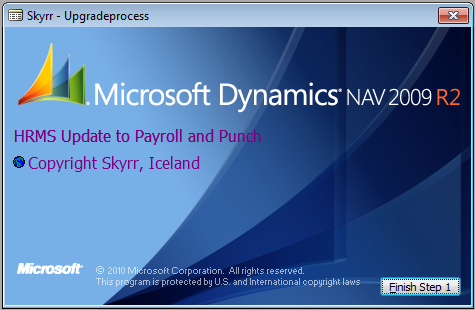 Most of us have needed to copy data from one Dynamics NAV database to another. For example the posting setup tables, payment terms, currency, etc. If the databases are not identical you will not be able to copy and paste the data and you have to solve this problem with dataports or XMLPorts. I offer a solution to this problem. I have created a form that is able to export and import data based on table and field numbers. 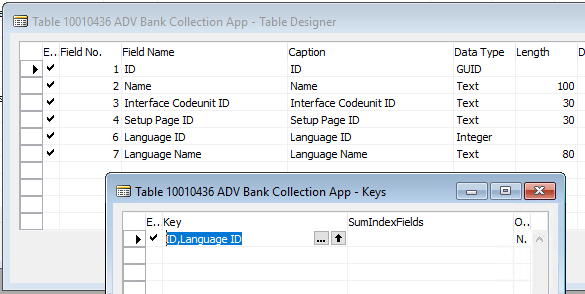 It will import data to a table even if some fields are missing in the destination database. 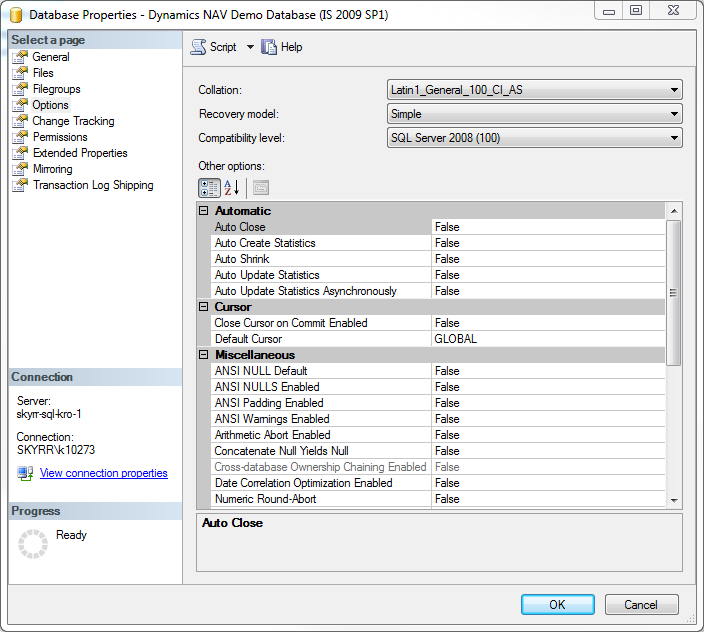 When running Dynamics NAV on a MS-SQL database you need to execute some maintenance tasks. They include defrag and rebuild for indexes and statistics update. 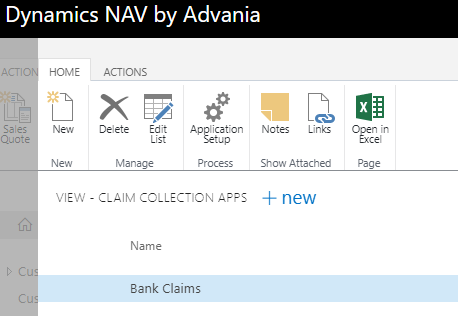 By using SQL Native Client, the Table Information from NAV and Job Queue you can automate this maintenance with Dynamics NAV Application Server. First you must make sure that automatic update statistics and auto shrink are set to false. Then you create codeunit for each task. Here is an example. This example is using trusted connection to the SQL Server, that is a domain user account. Grant that user the processadmin server role. To defragment indexes, use “DBCC INDEXDEFRAG”. 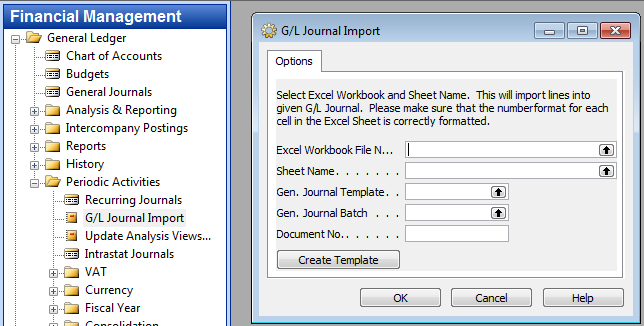 Image being able to send your staff an Excel document and get it returned with data for your General Journal. Data from outside sources are usually available in Excel. By using this batch, you can import that data into NAV General Journal. 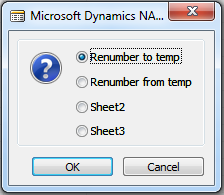 Clicking on the “Create Template” button will start Excel with a document template. On each cell in the header line there is an comment that helps with the data format. 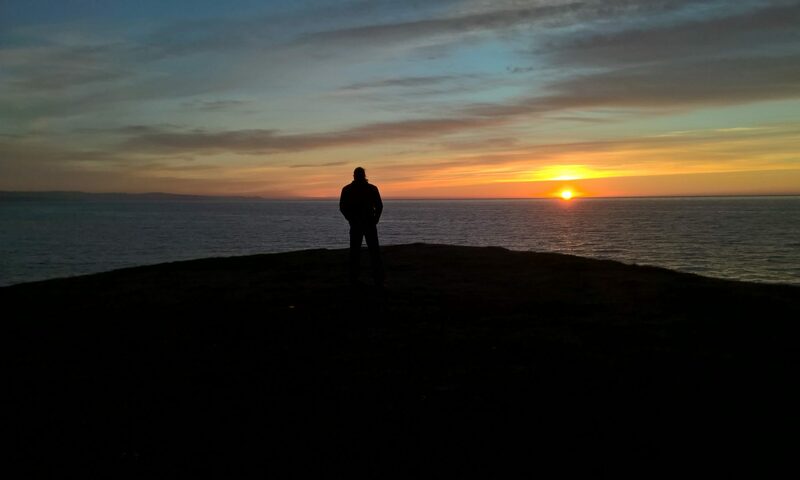 Here is a zip file with the source code needed.